Smashmouth Marketing has two guest post blog articles this week, writing about Outbound Marketing, Inbound Marketing and Tony Soprano. Just gonna keep spreading the Outbound Marketing goodness! When we're selling our outbound marketing demand gen solutions, we get asked all the time, where can I find inexpensive b2b sales leads? We obviously try to sell up to our high level appointment setting service, but not all companies are ready for that. So below is a collection of data sources we've used in our lead generation work. It's not a complete list, by any means, so if you have found other sources or want to submit some, please COMMENT below. We are always looking for quality lists...it is the fuel that keeps our business going. Online Data Suppliers: Typically an annual subscription basis. Although, see Jigsaw, below. Italics are their own company description, following that is my comment. Jigsaw - is a leading provider of business information and data services that uniquely leverages user-generated content contributed by its global business-to-business community of 900,000 members. Jigsaw gives individuals and companies access to contact information for 15 million business people and profiles of 2.6 million companies. By far the best value on the market for the quality you receive. Contacts are fairly recent, most have direct dials and emails. Check out their great list building tools. Jigsaw is the exception in that they do offer annual unlimited subscriptions (highly recommended by Smashmouth), they also allow you to swap contacts and to purchase them individually. OneSource - OneSource, an infoUSA company, delivers prospect and business intelligence information on millions of companies and executives worldwide -- optimizing clients' sales and marketing efforts and assisting with business-to-business research activities. Very broad coverage. If you are after Owners, C/VP level contacts, it is heavy with this data. A bit shy on the practitioner level (Dir and below). Search and sort criteria are very comprehensive. Lots of data on the research side. iProfile - The pioneer in IT profiling since 1993 and now the global leader, iProfile provides high-tech company sales and marketing organizations the business intelligence they need to create demand, qualify accounts, penetrate new accounts, and accelerate sales. If it's Fortune 2000 type companies you want and you target technology buyers, there is no other source. Org charts, direct dials and emails. Extensive research. Fabulous service, but on the pricey side. Input - INPUT is the authority on government business. Established in 1974, INPUT helps companies develop federal, state, and local government business and helps public sector organizations achieve their objectives. If you target federal, state and local government, there is no other source of research and data. Hoovers, infoUSA and others - Just not into them. We've never found the value. There was a LinkedIn Question today that I answered. It is such a valuable tip, I thought I would cross post it here. Question: If the goal of a call is lead generation and appointment setting for my sales engineer, how should I handle a prospect when they ask a tough technical question I can't answer? Answer: First, don't let the question drag you into a black hole or throw you off your game. Use the question as an opportunity to get what you are looking for -- a meeting. The prospect then asks some technical question you can't answer. "Does your solution support XYZ (technical buzzwords here)?" Reply: "I'm somewhat sure we do, but I would rather you get a solid answer. The right person to talk to is Mike. He can address all your technical issues. Are you available for a short call to talk with him?" Don't let the prospect drive you into a place you can't recover from. Maintain control of the call, and stay on target. It's an opportunity, not an obstacle. 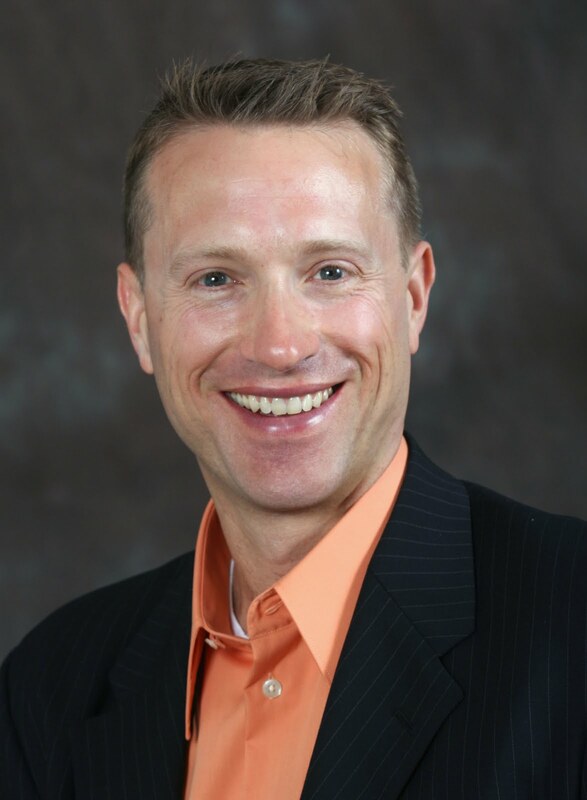 As Jeff Ogden, the Fearless Competitor, says about lead generation: "Stop complaining, take action now." Recently we conducted a poll on LinkedIn where we asked: Inbound Marketing & Outbound Marketing - What is your mix for lead gen? 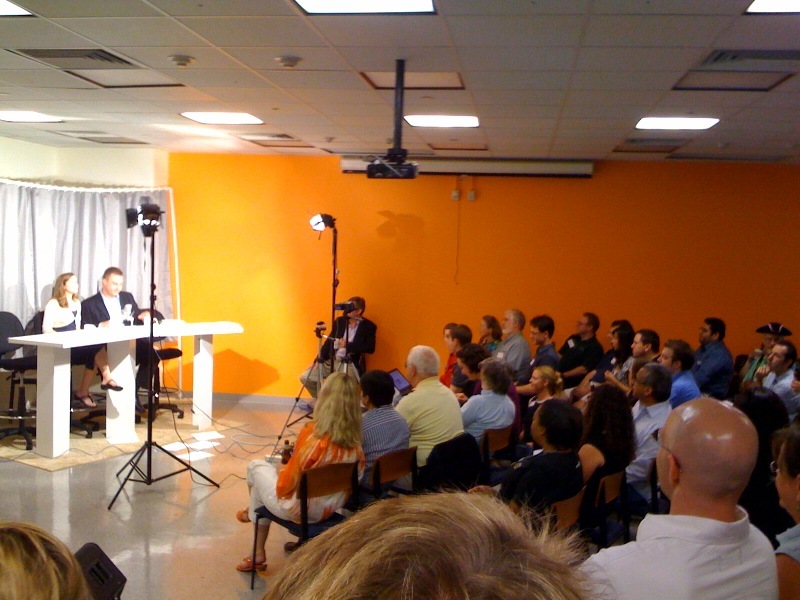 The target audience was Sales & Marketing job functions, from the industries of Computer Hardware & Software, Internet, IT and Tech Services, Marketing & Advertising. We used the LinkedIn Poll Application to conduct the study, as well as the free distribution of the poll to our network. It is not the results of either poll separately that are interesting, we expected the Outbound mix to lead, but the comparison of both the public (random marketing and sales execs) poll to our private network (heavily demand gen focused professionals) shows a clear trend that those of us that focus on demand gen have more of a balanced mix with “Both Equally” leading the pack at 43% in our network. 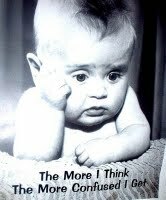 The mania of Inbound Marketing taking over the marketing mix is either just that, mania, or it is still in its infancy. Don't get caught up in the hype just yet. The application is extremely easy to use, and the ability to promote it free to your network or paid through LinkedIn's systems provides incredible flexibility. We highly recommend using the paid LinkedIn poll feature for two reasons. First, it can be targeted to specific demographics. Second, it randomizes responses in a manner different than if you were to share the poll with your network. One feature missing though, is the ability to embed the poll on other pages (such as a blog, or corporate site). Having this widget capability would be huge. 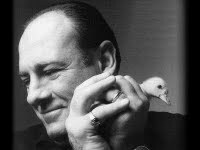 Tony Soprano:"Every decision you make affects every facet of every other #?%!% thing." For years the world of b2b marketing has used outbound marketing as a source of lead generation. Many companies also operate inside sales departments, and there has been an industry built around supporting these efforts and providing superior service to clients. Services such as appointment setting, lead generation and list development are pervasive and a very common tool in the demand gen arsenal. Then there was the Google. Studies have shown recently that most buying decisions start with a Google search. Although I don't totally agree with the statement (especially as it pertains to emerging technologies), I will agree that it's Google that sits on most people's desktops all day long and is a tool we use constantly. Our goal as marketers -- get the buyers to find relevant content, then find links to vendors, then capture their name as a lead (eventually). Classic inbound marketing. Tony Soprano: "Hey, You want that, it's a phone call away." In order to capitalize on this, there's been a rush to successfully implement inbound marketing strategies so that we can capture the leads that are out there stumbling on our sites from various sources. Search engine marketing (SEM), search Engine Optimization (SEO), blogging and social media strategies all contribute to solid Google rankings. Marketers have been considering their strategies in two budget line items. Inbound marketing and outbound marketing. Some have even gotten passionate about which strategy is the ultimate demand gen horse to ride, the majority seem to be implementing both inbound and outbound marketing equally. What many have overlooked is that most inbound leads don't just jump into the boat with a purchase order. Raising their hand for an ebook shows interest, and coming back to the site several times for more content raises their interest (and hopefully your lead score), but when are they going to jump in the boat? Tony Soprano: "A wrong decision is better than indecision." This is where the alignment of inbound marketing and outbound marketing come together. Over the past several months I've visited several companies that specialize in inbound marketing (if you follow my blog or twitter, you'll know who they are). I've been to lead nurturing companies, marketing automation companies, SEO companies, SaaS companies offering solutions for inbound marketing, etc. One thing they all had in common was a sizable outbound marketing component to their own marketing efforts -- large inside sales teams, outsourced lead gen companies, and appointment setting programs. There always has to be someone to give the pitch and ask the questions. Tony Soprano: "Oh, poor baby. What do you want, a Whitman's Sampler?" Any good outbound program starts with names. The names can be purchased from Jigsaw, Onesource or other data sources. They can be identified or researched. They can also be somewhat warm from inbound activity. In fact, those warm ones have the highest lead scores in most systems. But getting that human being that's raising their hands to talk with you is the ultimate challenge, and inbound marketing certainly makes outbound marketers more effective in this task. I'm not slamming inbound marketing whatsoever, in fact Green Leads is investing heavily in it for our own benefit as well as combining inbound services with traditional outbound services in order to maximize our efforts (see: Hubspot, LinkedIn, twitter, Facebook). What I'm advocating is for Demand Gen Alignment. Maximize the investment in both inbound and outbound. As Tony Soprano may have said if he were a marketer: "There might be an inbound mafia and an outbound mafia, but together, the family can be stronger and produce." At one time or another, I've been asked by demand gen folks, Green Leads' clients and prospects, "So you set b2b appointments only with C/VP level executives?" So a LinkedIn Poll was in order. 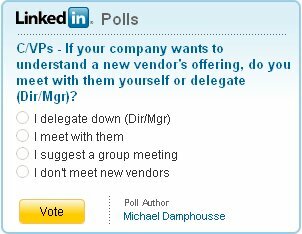 If your company wants to understand a new vendor's offering, do you meet with them yourself or delegate down (Dir/Mgr)? We always start high, by working from the C/VP level down, but many times when we connect with a senior executive they want their company to learn more about the vendor, but they delegate the meeting to a lower level. In most cases, this is one level down from their title (C refer to VP, VP refer to Dir, etc.). The numbers didn't surprise us. In fact they match, almost to the percentage, our tracking numbers of what titles we set meetings with. 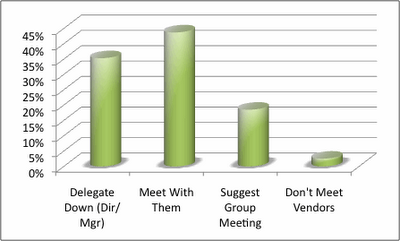 So even when we engage the C/VP level prospect, 33% of the time we will secure a meeting with a lesser title. Does this mean the meetings will be less valuable? Not at all. I've published articles about how we measure appointment setting outcomes, and that the industry average is roughly 1/3 of introductory meetings move on to further pipeline activity. More, if additional marketing programs augment the program. We just sliced the data by title and found that meetings convert to ongoing sales activity slightly more with Dir/Mgr initial engagements, whereas C/VP convert slightly more to nurturing activities. As an interesting twist to the data. Check out the variation of stats between departments. 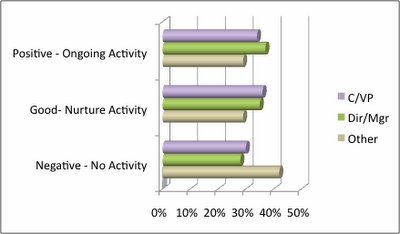 Finance claims to be more receptive to meetings. I'm sure there will be plenty of sales execs out there that will have differing opinions to that stat. Final side note: Male respondents were 30% more likely to meet with a vendor than female respondents. Whereas females are 2X as likely to suggest a group meeting. What have you found about the relative value of a delegated meeting versus a face-to-face with an senior decision maker? What makes sales ready leads? Please participate in our LinkedIn Poll this week. We are trying to identify some new shifts we are seeing in the b2b industry as it pertains to introductory appointments. Weigh in your vote here. In the Smashmouth Review of Genius.com Part 1, we focused on Genius Pro. Since then, we've had the opportunity to work with and evaluate Genius Enterprise. The one liner summary: marketing automation and sales enablement with a 2.0 twist. The product is so rich in features that this article alone will not do it justice. 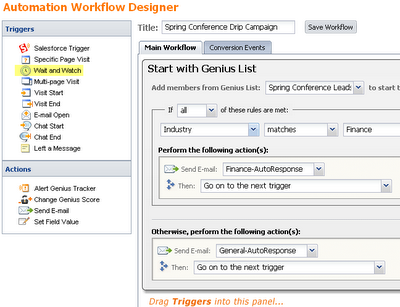 It’s always tempting to try to make apples to apples comparisons with other marketing automation vendors, but Genius is different. Genius eliminates the need for heavy IT support. After just a few hours of use it allows a non-guru to establish some incredibly strong functionality. It's suitable for small business, or for a larger, more sophisticated organization. The heart of the package is the Automation Workflow Designer. This provides a the ability to create logical processes of conditions, actions, and communications that together can walk a prospect through the nurturing and selling process. Consider this example. Sounds complex, but it was able to be configured in 30 minutes with the drag and drop editor that is both intuitive and fresh in its design. Key among the features is the ability to have the Genius Tracker notify you by email, SMS or the Genius Tracker IM-like interface when a rep takes a qualifying action like visiting your site or reaches a qualified lead score. From there the rep can link to the contact's history -- what emails have they received, and what actions have they taken. There is also a TiVo-like replay of their visit available, which is a rich way for a rep to find out what the prospect was interested in and target the followup conversation. To top it off, the system also has an integrated chat/messaging system for visitors to use, as well as the ability to display an Instant Promo window that can contain custom messages. As opposed to the obligatory comment from the company, I asked if I could speak with a power user. .
"Genius Enterprise is designed for Marketers with sales in mind," says Joanna Giannotti, Global Marketing Director at ClickSoftware. 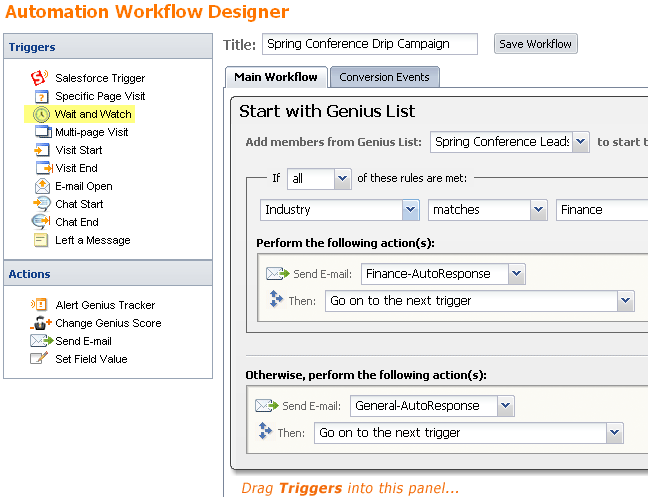 "It’s simple drag and drop campaign creation makes cumbersome, complicated marketing automation solutions a thing of the past while their exclusive Tracker alerts Sales with an instant notification when prospects are hot so they can offer rapid service. It all means greater Marketing success and more closed deals for Sales." As a postscript...this whole exercise had my desktop going off every few minutes with an audible signal that someone was visiting my site. It leads me to continue the debate...when I hear that noise, do I pick up the phone and POUNCE? (more: Pounce, Pause, Nurture or Wait?). 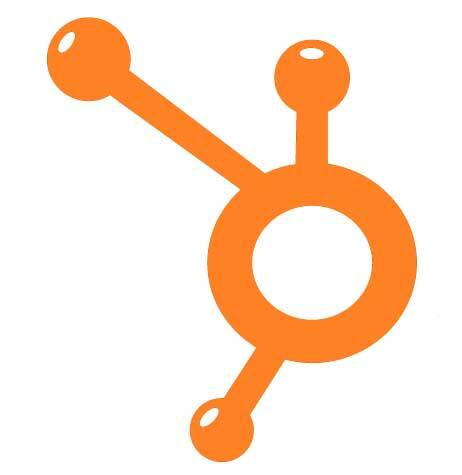 Yesterday was the start of my evaluation of Hubspot. There will be a Smashmouth Product Review coming shortly, but I just had to comment on how it got started. 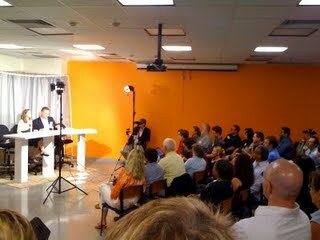 After a one hour detailed demo from Bonnie and Chris, and an interrogation by me, Linda and I got to join the Hubspot team and local twitterati for the 1 year anniversary of Hubspot TV. It doesn't impact the review, but it definitely impacts my impression of the company and people. They were all energetic, fun, welcoming, marketing-savants -- great to be around. We loved every minute of it. Thanks to Dan Tyre and Mike Volpe for hosting us. As far as the review... I've spent about 3 hours with the product (not counting the time Bonnie and Chris put in), and I've been able to use most of the basic functions without a hitch. I was trying to upload a video and couldn't quite figure out how to upload/host it. For now I had to opt for a slideshare version of our video What Does Sales Want? I'm sure I can get a few pointers from support and put a checkmark next to that issue. My highest level of excitement though is the fact that SEO and Inbound Marketing written all over it. I can hear "you've got mail" already. More detail in the official review. What is B2B appointment setting? And why is it important to marketers? When it comes to leads, quality or quantity? You specialize in reaching CXOs and VPs. Can you give marketers three tips to connect with these hard to reach decision makers? How does lead nurturing play a part in reaching these executive contacts? I noticed you use Twitter frequently and have an active blog. How have these helped the success of your company, and what kind of budget and resources do you have to be so active in social media? What metrics do you use to measure your social media success? What are three tips that any marketer can use to increase their social media or blogging? Hope you enjoy it and post some comments. I just reviewed Marketo's recently released Definitive Guide to Lead Nurturing. Don't let the vendor logo fool you, this is a document that is a must read for all demand generation professionals. It's filled with useful information, starting with the basics and then working to the advanced. Excerpt: "the process of building relationships with qualified prospects regardless of their timing to buy, with the goal of arming their business when they are ready. Building a relationship with a prospect is the same as with any long-term relationship — you can’t force someone to commit (to a purchase, in this case) — but you also cannot afford to lose individuals because their willingness to buy doesn’t match your readiness to sell." The document is full of examples, includes several useful tools as a take away, and also is full of soundbites from industry leaders such as Tony Jaros of SiriusDecisions, Ian Michiels of Aberdeen, Marketing Sherpa, Scott Albro from Tippit, and more. What I found most useful were the examples of calculating the ROI of Lead Nurturing. Specifically the section of the impact on opportunities won.